To ensure the performance of your Dyson vacuum cleaner is prolonged you should ensure the pre motor filter it is regularly maintained! The Pre-Motor Filter is located in the cyclone assembly and its purpose is to help prevent dust and debris from causing damage to your cleaners motor. Pre-filtering is the process of your vacuum intercepting the air before it moves to the suction motor, making this replacement filter an integral part. A blocked pre-motor filter is one of the main causes of poor performance in your cleaner, as it means less air is passing through the machine, which in turn means less suction. If your existing filter is badly clogged, it can also cause the motor to cut out after a short time. 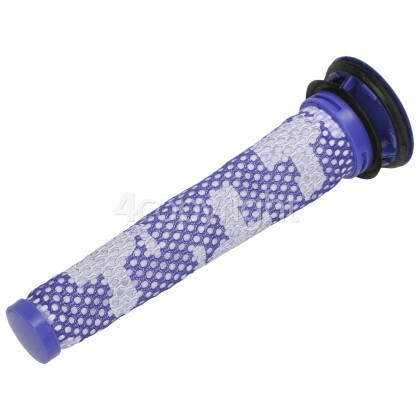 Suitable for select DC58 and DC59 Dyson vacuum cleaner models.